The Alarm lead singer and songwriter Mike Peters, will present The Alarm - Hurricane of Change 30th Anniversary Acoustic Tour throughout the UK this coming October / November (see dates below). The tour will honour The Alarm's late 1980's trilogy of iconic album's 'Eye Of The Hurricane', 'Electric Folklore' and 'Change', and will feature intimate acoustic readings of some of The Alarm's most famous songs such as Rain In The Summertime (1987 - International Top 20 Hit), Sold Me Down The River (1989 - Number 1 Rock Song in the USA) and A New South Wales (1990 UK Top 40), alongside a host of Alarm standards as captured on the 1988 live album 'Electric Folklore'. 30 years ago, as Mike Peters undertook a creative song-writing journey through the heart of his home country - Wales, the Berlin Wall would fall and Europe itself, would plunge into a period of enormous and seismic change. Caught in the middle of this political maelstrom, Mike Peters and the Alarm would record the albums 'Eye of The Hurricane' (1987), Electric Folklore (1988), and 'Change' (1989) each of which would in their own way, capture the essence of these most turbulent times. The Hurricane of Change tour will be performed solo with a first set dedicated to 'Eye Of The Hurricane' followed by a second performance of 'Change' along with a third set featuring songs from The Alarm's classic live recording 'Electric Folklore". 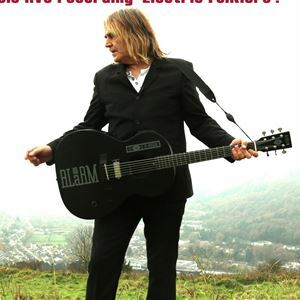 "I have always seen these three albums as an Alarm trilogy", says Mike Peters. "A lot happened to the band and the world, during the writing and recording sessions from 1987-1990. As one decade bled into another, the themes of response and resolve to contend with uncertain times are running through the core of each and every album. Played together these songs tell their own story and with the tumultuous times Europe can expect to face in the coming months and years, are still as relevant today as when they were first written."